Good afternoon. 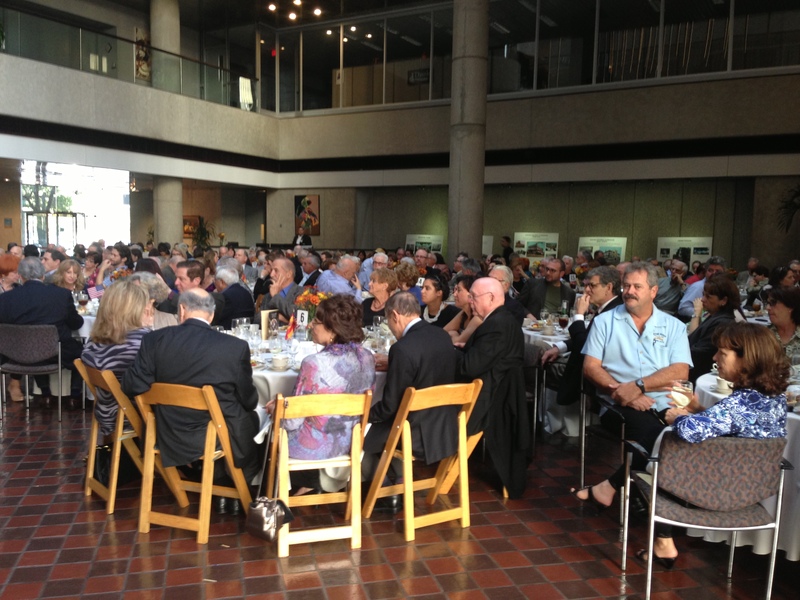 I’d like to thank the Centro Español, its board and members, for the invitation to speak to you today. And I’d like to thank each and every one of you for joining us on this memorable occasion, and for listening to me, as you try to enjoy your meal. I consider it a privilege just to be here. 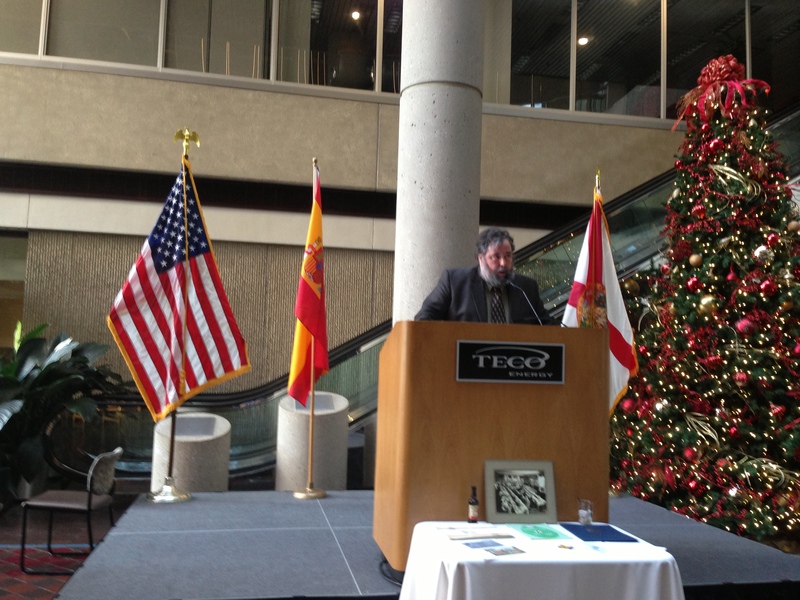 Having the chance to deliver the Centro Español’s First Annual Ignacio Haya Address is an incredible honor, but it is also rather daunting: daunting to be addressing a crowd of tampeños about the history of Tampa, daunting to be introduced by Judge Emiliano J. Salcines, who is, by far, the most knowledgeable and articulate person on the planet when the topic is Spanish Tampa (and a dozen other topics as well!). As Judge Salcines has already mentioned, my grandfather was born in Asturias, Spain, in 1889. He emigrated as a young man to Havana, Cuba, where he learned the cigar trade. 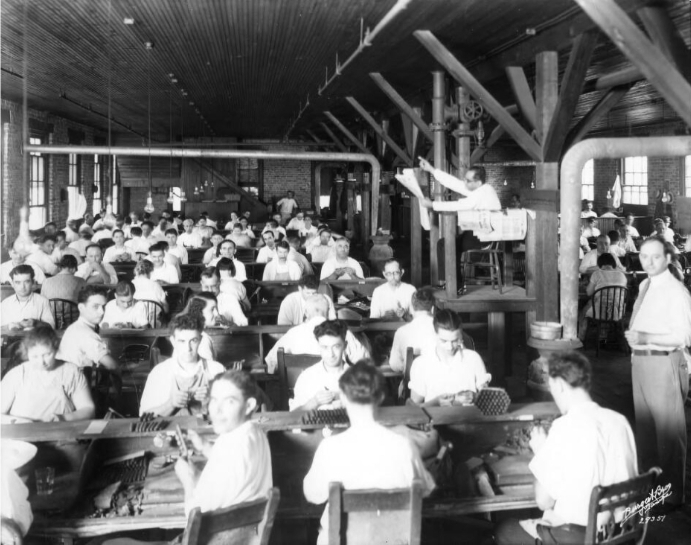 Some time around 1914 –just around 100 years ago– he re-emigrated, this time to Tampa, and he continued working as a cigar maker here until about 1917 or 18, when he packed up and moved once again, to New York. Not long after arriving to New York, at a picnic organized by the local Centro Asturiano, he met my grandmother; she had recently arrived directly from Asturias to the city, to work as a live-in maid for a well-to-do Mexican family in Brooklyn. 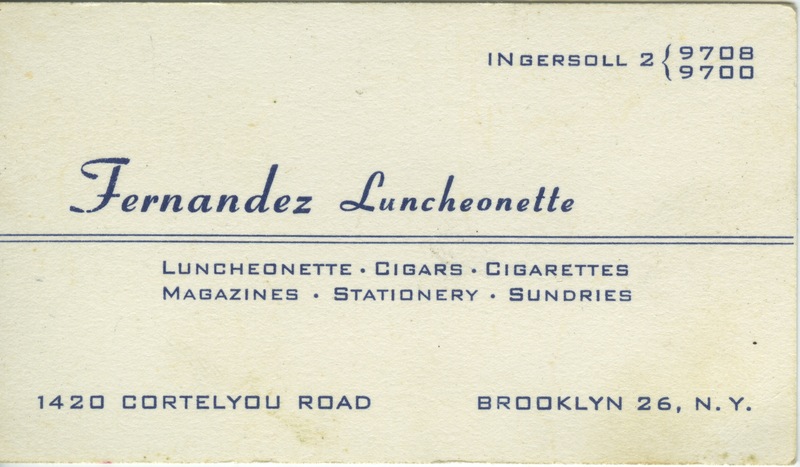 They fell in love, married and settled permanently in Brooklyn, where they owned a small hand-made cigar shop with a factory in the back; by the 1940s, the Fernández Tobacco Shop had moved and morphed into the Fernández Luncheonette: one of those all-American institutions of chrome, formica and vinyl, featuring a lunch counter, soda fountain, newsstand, etc. Like most of his peers, my abuelo had very little formal education. But he was a gifted storyteller, and some of my earliest and fondest childhood memories are of the stories he would tell us over and over at family gatherings. His repertoire consisted mostly of autobiographical tales exploring different aspects of the typical trials and tribulations of an immigrant, hilariously embellished and embroidered over the years of telling. But I also remember that my grandfather’s repertoire included a small group of mysterious non-autobiographical stories, which he would occasionally take out and polish off, usually in response to a particular problem or predicament, not unlike the parables recounted by wise men to make a poignant and exemplary point just when it was most needed. I can still remember that day in college; I was taking a Spanish literature class, and reading Don Quixote for the first time. There in the middle of Cervantes’s masterpiece from the early 1600s, I was astonished to find a couple of my abuelo’s signature stories. [It turns out that two of his best non-autobiographical yarns had been lifted straight out of the episode in Book II of the Quixote when Sancho Panza becomes the Governor of his very own Isla Barataria.] Now, I remember wondering at the time how a working man with almost no formal education –and very little leisure time for reading—could have been exposed to –and could have remembered—these minor episodes embedded deep within a XVIIth-century literary masterpiece. I would learn many years later that the answer to that question is almost certainly to be found in the history of cigar factories in Havana and right here in Tampa, and, in particular, in the remarkable figure of “El Lector” about which Judge Salcines has taught us so much. My grandfather, like thousands of other Spanish immigrants who came through Havana and Tampa, earned his BA from the School of Hard Knocks, and completed his MA and PhD at UT: the Universidad del Tabaco. ‘Buelo passed away in 1983 at the age of 94, just as I was about to get my own college diploma. [I know he was both proud of and puzzled by the college degree I was earning in Spanish Literature: “But what are you going to make with that?”] A few days before graduating, I spoke at his funeral, and I retold one of his lesser-known parables, one whose source I have never been able to identify. For some mysterious reason, over the last few weeks and months, as I’ve agonized over what to say today on this very special occasion, this particular tale kept circling back to my mind, for reasons I didn’t fully understand. I kept trying to put it aside, but it kept summoning me. At one point, I finally gave in, and gave the parable some thought, and realized that, in many ways, my grandfather had already composed the address I was meant to give here today. There’s more than a good chance my abuelo heard this story for the first time read from the platform of a lector in a cigar factory just a short trolley ride from here. In telling you this tale, I’d like to think that I am bringing back to Tampa something that my grandfather acquired here a century ago. So for a few minutes, let’s imagine that all of you, instead of eating your arroz con pollo, are actually rolling cigars, and that I am speaking to you from the tribuna del lector in, let’s say, the Sánchez y Haya factory over in Ybor. Now that he was beginning to feel frail, the old man would often reminisce about how he got his start; about how he himself had planted the trees of what was now a vast grove of gnarled olive trees. About how, through a mix of hard work and good fortune, those trees had thrived, and eventually began producing enough fruit for him and his family to live comfortably. About how, early on, his boys and wife would work alongside him in the grove; helping him prune the trees, mow and till the earth between the perfectly combed rows of the grove, and, when the time was right, knocking and harvesting those little green orbs, which to the man seemed back then like nuggets of gold that would allow him to provide his family with a kind of life he himself had never known. No more pangs of hunger. A decent education. And hands without callouses. Before long, the boys stopped helping out in the grove, as they had moved on to more important things. Not long after that, the man’s wife passed away. And now, here he was, feeling weaker by the day, alone, and unable to tend properly to his beloved grove. Over a number of years as his health declined steadily, more and more of the grove went unattended, until finally, one year, the trees didn’t produce a single olive. That year the man passed away. The three men felt like boys again as they raced out to the olive grove! They hadn’t set foot there in so many years. They were shocked at what they saw; the trees unpruned, their branches all tangled, the rows between the trees overgrown with tall grass and brush. It would be impossible, they soon realized, to look for any buried treasure with the grove in such a sorry state. So the three of them devised a plan. By common agreement, they would first work together to clean up the orchard, so they would then be able to divide up the grove into equal parts, and each of them would dig for the hidden treasure in his assigned parcel. Over the next several months, the brothers dusted off the old man’s tools and became reacquainted with the tasks they had performed in the orchard with their mother and father when they were younger; their hands developed blisters which turned into callouses, as they pruned the trees and mowed the brush and then plowed the earth between the rows. The months flew by, each of them sustained by the hope that, after the clean-up, he would be the lucky one who would eventually find and inherit the buried treasure. One day, when they were practically finished with the preliminary clean up, they decided to take a break together, in the middle of the orchard. Exhausted, the three of them passed around the old man’s bota of wine, before laying down for a little rest. For the first time in months, the three of them actually looked upwards. And what they saw was a dense canopy of leafy branches, each bending under the weight of thousands of tiny nuggets of green gold, just about ready to be harvested. A ripe olive fell and hit the oldest brother on the chin, and he started laughing uncontrollably. His brothers looked at him, puzzled. Gesturing upwards with his eyes towards the olives, he said: “Brothers: can’t you see that the old man has taught us his final lesson? All this grove needed was a little care. You want your treasure? There’s no need to dig: there’s a treasure for each of us, just above us.” The three of them understood, and they started laughing as they hadn’t laughed in years. And then they cried as they hadn’t cried in years. And then they laughed again. That year, and for many years to come, the brothers harvested the sustainable, renewable treasure that their father had bequeathed to them, and that had been hidden from them, in plain view. Because in the end, the Centro Español and our documentary project share a common set of concerns and questions, chief among them: What exactly is the legacy we want to preserve and cherish? And how can we best go about preserving and cherishing that legacy? It is true that in Tampa –like in no other place in the United States– you can put plaques on buildings and street corners commemorating the contributions of Spanish immigrants to the founding and development of the city. And yet, even though it is altogether fitting and proper to do this, more often than not, those markers will be more like the tombstones of the old cemeteries, signaling not so much a vibrant presence, but rather a gaping and aching absence. During our fieldwork here in Tampa, Luis Argeo and I quickly became convinced that the true living, renewable and sustainable legacy of Spanish Tampa, is to be found primarily in the attitudes, energies, values and practices of people like the members of the re-launched Centro Español, and like those featured in the documentary that we will screen later today: Elba Ruilova, Cathy Varón, José Oural and Angel Rañón. Folks who don’t so much covet handed-down legacies, but who rather, in their everyday lives, cultivate an inheritance that they understand has been temporarily entrusted to them, so that they might transmit it to others; folks, in short, who embody and put in practice the values that we find at the core of an intangible Spanish legacy here and throughout the US: hard work, loyalty, solidarity, hospitality, a belief in the importance of collective action, and, even though the word didn’t exist when the immigrants were around, sustainability. Your forebears were the protagonists of a remarkable and little recognized diaspora which brought millions of Spaniards to the Americas, and, among those millions, tens of thousands, to the United States. Of the dozens of enclaves established by these Spanish immigrants throughout the United States, Tampa was, without a doubt, the most vibrant, visible and cohesive of all. In fact, many Spanish immigrants, like my grandfather, entered the US through Tampa, before moving on elsewhere to, say, New York, or Cleveland, or California. So Tampa’s Spanish history is an international and national treasure –it’s not just a local treasure. And nowhere else in the US is there a built environment that illustrates the history of the Spanish diaspora better than what you have here in Tampa; in fact, one would have to travel to Havana or Buenos Aires to find traces of the Spanish diaspora to the Americas on the scale of what still exists today, right here, in Tampa, all around us. But if you think that the survival of the Spanish legacy of Tampa can be enshrined and ensured forever in plaques, and bricks and mortar; if you think that Tampa’s Spanish legacy is something that can be sustained without collective effort, please think again. History makes one thing is perfectly clear: the most effective way to extinguish a living, collective legacy once and for all is to privatize it, to make it solely a family affair, to imagine that it’s yours, that you can effortlessly inherit it with your surname, or that you can write it into a will and thereby ensure its transmission in perpetuity. No collective legacy can survive for more than two or three generations in privatized isolation; the language will be the first to go; the recipes might last a little longer, but before long, without concerted and coordinated efforts, those too will be gone. And before you know it, that olive grove, planted and tended to with such care by those who came before us, will become overgrown and barren. Tampeños: let’s not allow this to happen. Let’s roll up our sleeves, and work together to preserve a living legacy, following the examples of Judge Salcines, of the folks relaunching the Centro Español, and of those women and men in our film. Let’s join forces to preserve and cherish the precarious but enduring legacy of smoke that has been entrusted to us. What a beautiful speech, and a moving tribute to your abuelo. I attended the Gala for Legacy of Smoke and heard Dr. Fernandez speak. It brought me to tears as he spoke and it’s brought me to tears reading his words. I shall save it along with my treasured letters written by family members long ago, and no longer with us. Las gracias se la doy a ti, James y Luis. This was a labor of love for you two and became your literary masterpiece, Jim, and a film never shown or seen before, had it not been for Luis. When the book (or books) are available they should be put In every History classroom in the Americas.